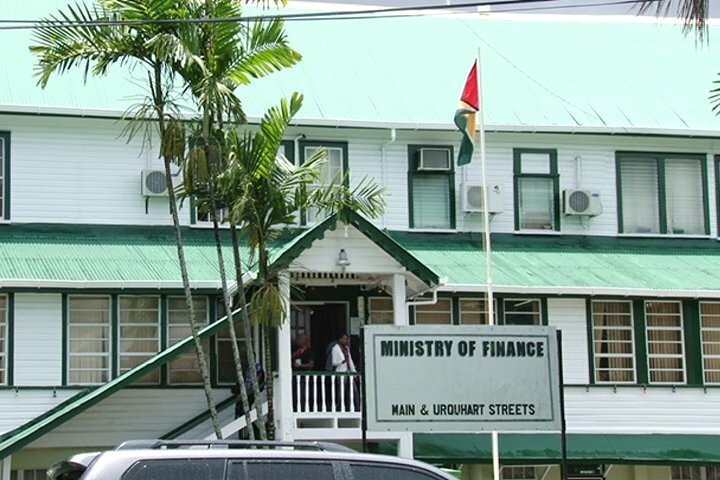 Ministry of Finance, Main & Urquhart St.
A long-awaited paper from the government on how revenues from oil and other natural resources will be managed, places the Ministry of Finance in overall control in a move likely to draw strong criticism. Experts have said in the past that the best practice for management of a Sovereign Wealth Fund (SWF) is to keep politicians away from it. The model unveiled in Parliament yesterday by Minister of Finance, Winston Jordan effectively puts his ministry in charge and this will likely be met with staunch opposition. The paper lays out stringent fiscal rules for the management of the Natural Resource Fund (NRF) but with the Ministry of Finance as the overall manager and its minister having a key role in composing the macroeconomic committee which would be responsible for determining how those funds are apportioned. “The Macroeconomic Committee would determine the Economically Sustainable Amount and would consist of the following five members appointed by the Minister of Finance,” the document states. It points out that a representative of the Minister of Finance will be the Chairperson and one of the members, a leading expert in macroeconomics, shall also be appointed by the Minister with the approval of Cabinet. Also among the five members would be a representative of the Bank of Guyana (BoG) to be nominated by the governor. Critics would likely see this candidate as a third nominee of the government. 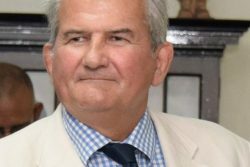 The other two persons would be a member from academia or the private sector nominated by the Opposition Leader and a member from academia or the private sector nominated by the Institute of Chartered Accountants of Guyana. A plan already frowned upon by the opposition People’s Progressive Party Civic (PPP/C), that the Bank of Guyana will be the operational manager of the fund, is also incorporated into the policy document. Eric Parrado, former manager of Chile’s SWF, one of the world’s most successful ones, had in March of this year stressed the importance of full consensus by the society on a SWF’s fiscal and legislative framework. “If you pass the law, you can say ‘we are going to ring-fence the resources for the Guyanese people’ and we need that process now. We need to reach the consensus with the full society, then we need to pass the law—hopefully before 2020 because the revenues are coming in 2020, the temptation could be high and because you have an elections,” he had said. The International Finance Coordinator at Chile’s Ministry of Finance, who helped build that country’s SWF, was part of a seven-member group of international researchers and petroleum policy advisors that government brought in for a one-day caucus. The team had discussed the emerging oil and gas sector and gave insights into prudent preparations for the revenues that will be generated from the industry. 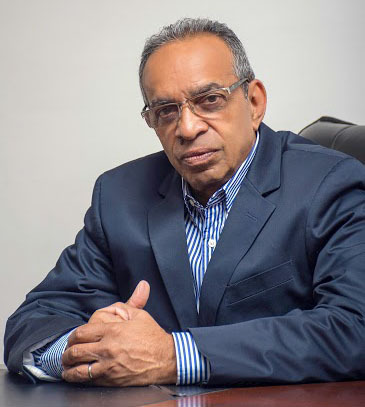 Then, Parrado, a current Professor of Economics, informed that he had told government that having a successful SWF is possible for Guyana but needs stringent management, expert financial advice on investments and legislation to protect monies from being misused. The Minister of Finance believes that the Green Paper’s clear overview of the establishment of a sound fiscal rule demonstrates that the SWF Bill will be reflective of the strong legal framework necessary to protect this country’s oil and other natural resources revenues. Brought in his name, and titled ‘Managing Future Petroleum Revenues and Establishment of a Fiscal Rule and a Sovereign Wealth Fund’, the paper is an initiative of and was prepared at the behest of President David Granger. The President hopes that the policy document will generate discussion and feedback as a prelude to the upcoming Natural Resources Fund Bill that is scheduled to be brought before the House before the end of this year. Cabinet has offered its comments and related amendments and authorized the laying of the Green Paper in the National Assembly. “It is intended to capture key issues for consideration, including the mechanisms to ensure sustainable use of petroleum revenues to achieve a diversified and green economy, with a specific predisposition to avoid mismanagement of the national patrimony (i.e. “natural resource curse”),” the document states. A statement from the Ministry of Finance adds, “The Green Paper outlines many of the key issues and concerns related to Guyana’s economy to absorb the large revenues anticipated post-2020 when oil production begins. Extensive advice on the Green Paper and the Natural Resource Fund Act – now being finalised – was received from the World Bank, The International Monetary Fund and the Commonwealth Secretariat making the legislation one of the most progressive in the world to date with an emphasis on fiscal prudence, inclusivity and complete transparency. The three main pitfalls, the Green Paper notes, associated with sudden windfalls from oil revenues are: the `presource’ curse, the resource curse and Dutch Disease. Separately, a Sovereign Investment Committee would be responsible for advising the Minister of Finance on the Investment Mandate and would consist of the following seven members appointed by him. “Members of the Committee would be persons with substantial experience, training and expertise in financial investments and financial portfolio management; and a minimum of a postgraduate degree from a reputable university in the discipline of finance or economics, or an equivalent professional qualification,” the document says as it lists the seven persons. These would be a representative of the Minister of Finance; an ex-officio representative nominated by the Minister of Natural Resources; an ex-officio representative nominated by the Governor of the Bank of Guyana; a representative nominated by the Institute of Chartered Accountants of Guyana; a representative nominated by the Guyana Association of Bankers; a representative nominated by the Leader of the Opposition; and the Senior Investment Adviser and Analyst. Here again, the government would have a major role. The management structure is as such that there will also be a senior investment adviser and analyst, both of whom would be recruited through open international tender. Their duties include, assisting the Minister draft the Investment Mandate; assisting the Minister report and monitor the financial performance of the Natural Resource Fund; supporting the Sovereign Investment Committee in undertaking its functions; undertaking financial modelling showing the expected Total Return and risk of different allocations of the Natural Resource Fund across different Eligible asset Classes and presenting this modelling to the Minister and Sovereign Investment Committee; and performing other tasks related to the management of the Natural Resource Fund as determined by the Minister or Sovereign Investment Committee. Noted too is that while it did not state specifically if it would be foreign investment firms, the Green Paper states that “Private Managers” would “manage the overall investment portfolio” of the funds, in accordance with management agreement and investment instructions. And although the opposition has already signaled its disapproval of having the BoG be the operational manager of the fund, it is still included in the document. “We don’t want politicians to manage this money. This fund has to be independently and technically managed and this is not by politicians and stored by Central Bank. We have a problem with that model and it departs radically from best practices such as Norway’s and others, where they have an independent group that manages this,” Jagdeo had told a press conference when he learned of the Bank of Guyana’s role in the process. “So even the model for this will present a lot of problems because Jordan can call the Central Bank and get monies whenever he wants it or bully people…” he added. Observers and other financial analysts have said that ideally the SWF should stand on its own. However, others have also posited that an independent structure in a country like Guyana always runs the risk of political influence, since the Fund has the propensity to become so powerful that its managers may use it as leverage to starve or give excessively to any political party of their choosing. But government has assured that governance of the fund would be run according to international best practices contending that the NRF would operate in a transparent manner and fully conform to the International Forum of Sovereign Wealth Funds’s prescribed Santiago Principles. Government says that the NRF represents a forward step along the continuum of legislative reforms that must be in place to support the petroleum sector, legislation alone will not enable good governance of revenues. “The expenditure path of the associated resource revenues must relate to the strategic development plan, sectoral and regional plans that are framed to deliver services while achieving value for money. Rigorous project appraisal systems and prioritization will be needed along with improved technical competencies across the sectors to ensure the required pace and quality of improvements and innovations necessary to achieve economic diversification within an inclusive green economy,” the Green Paper reads. “There is an urgent need for strengthened institutions and systems to support strong governance and oversight. Effective monitoring and evaluation are critical to ensuring transparency and accountability. This should be complemented by stronger enforcement of anti-corruption measures across all sectors. Investing in human capital (throughout the life cycle) and increasing our national capacity to effectively absorb resources must be paramount. As a nation, an historical opportunity is before its people. Maximising this to the benefit of every Guyanese woman, man and child is Government’s responsibility, and doing so – while taking pre-emptive actions to avoid the `presource’ curse, Dutch Disease and resource curse – is what will make Guyana stand out as a people and, to the world, as a model government and nation worthy of emulation,” it adds.